Find condos for sale in Belmar NJ. The Belmar condos are in one main condo community and a 9 story high rise building in Belmar. There are also many single building condo in Belmar, these are mostly in the downtown area in the upper floors of retail buildings. Belmar is a seashore town in Monmouth County, NJ. The boardwalk runs the length of the town. There are numerous stairs providing access to the beach. Beach badges are required during the summer. There is also a playground on the beach for young children. The beach is also a popular surfing spot. There are some stores on the boardwalk. And across Ocean Ave. you will find more stores and restaurants. The downtown area is undergoing a revival. New businesses are opening, many are restaurants. There’s a marina on The Shark River, with ocean access. Commercial fishermen and party fishing boats operate out of Belmar, in addition to many private boats. A highly competitive basketball league, the JSBL, plays it’s games in in the St Rose High School gym each summer. According to the Census, there were 5794 people were living in Belmar in 2010., and The town had 3931 housing units at that time. Also, the median family income was $59,928. 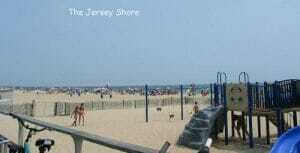 However, like many Jersey Shore towns, the population swells during the summer. The Belmar School District provides education for condo in Belmar students in grades Kindergarten through eighth in one school. Students from Lake Como also attend the Belmar School District. When students enter high school they will attend either Manasquan High School or Asbury Park High School. When a student enters high school they may also apply to one of the five high schools in the Monmouth County Vocational School District. Specialized courses are available in fields such as computer science, and biotechnology. Also courses in the medical and science fields are available, among others. In addition there are also several private schools in the area which means parents have additional options for their children’s education. 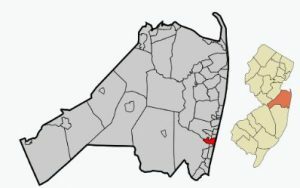 St Rose is located in Belmar.